We know that divorce can be a challenging time and the process can be difficult to understand. That’s why the team at Alexandra Geczi PLLC has written guides to help you navigate this time in your life. Receive your free copy now! Are you wondering where to begin? 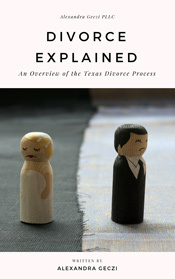 Our guide “Divorce Explained” breaks it down and provides an overview of what you can expect in your divorce. Are you a stay-at-home mom or a homemaker worried about divorce? This ebook is made for you. 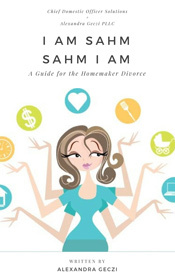 “I Am SAHM, SAHM I Am: A Guide for the Homemaker Divorce” provides special insight into your situation when facing divorce.